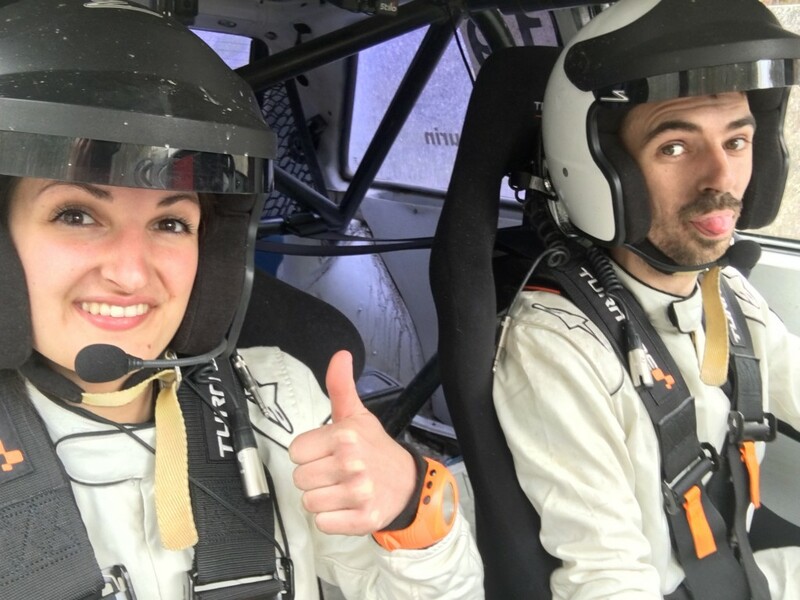 Anabel Cliche first came to rallying about five years ago when her boyfriend suggested they go check out the nearby Rallye Perce Neige. Coming from Gatineau, it was an easy event to reach, and Cliche found herself immediately hooked by the sport. Cliche and her boyfriend Alexandre Sabourin returned from Perce Neige and began talking about their immediate ambitions. 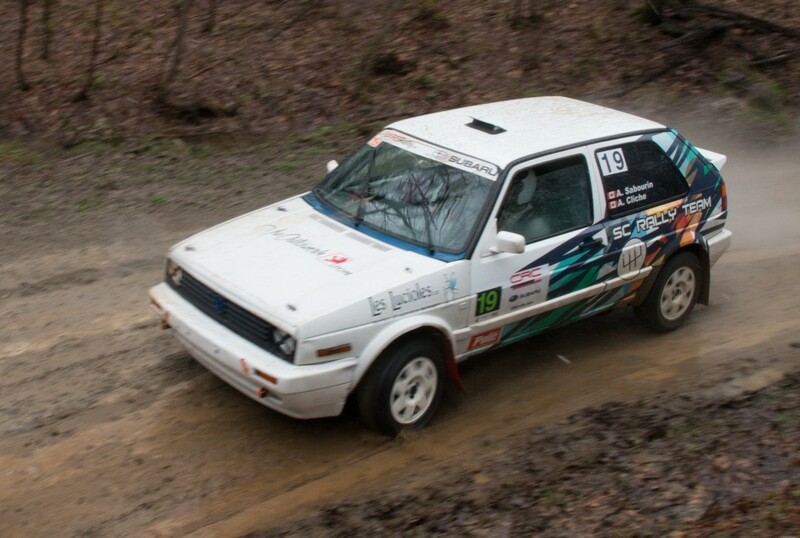 They found a two-wheel drive car for sale, and began to update it for competition. The pair made their debut at Rallye Défi in 2016. For Cliche, it was the most stressful experience of her life. The pair made it through the event, impressed at the community they found within the sport. Whenever they had questions, other teams would hop in to help them figure out a solution. 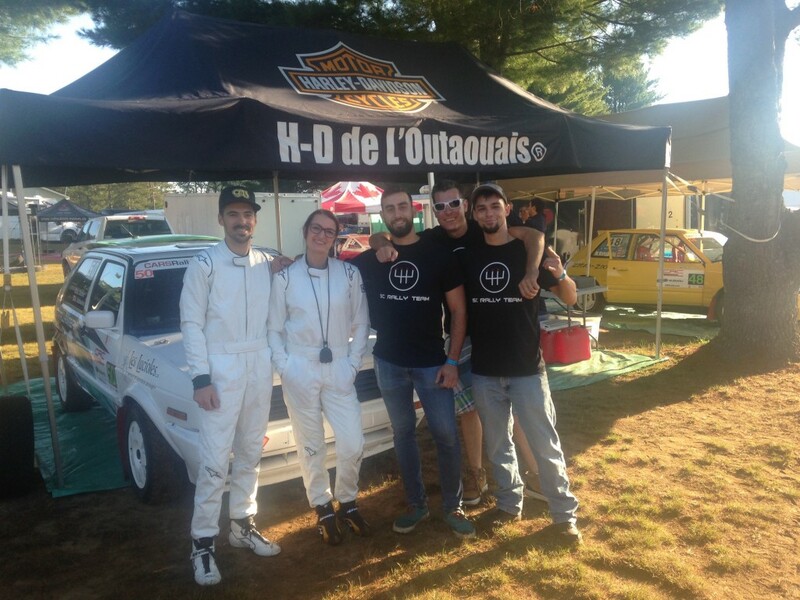 Mechanics on hand to support others pitched in their own work to get the car stage ready. The co-operative nature of the sport inspired Cliche to get involved as a volunteer as well as a competitor. 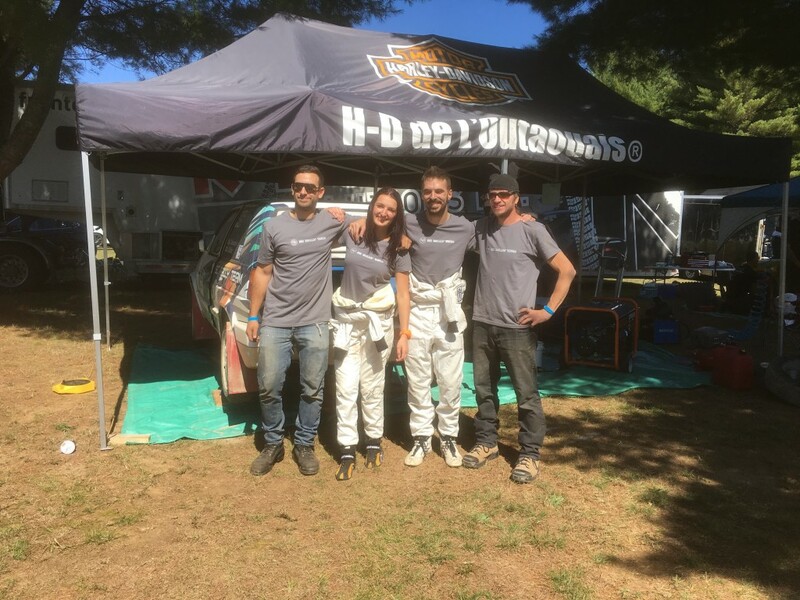 After showing success in garnering sponsorship for the team, she was asked to help sponsorship efforts for the Lanark Highlands Forest Rally, a regional event in Ontario, west of Ottawa. 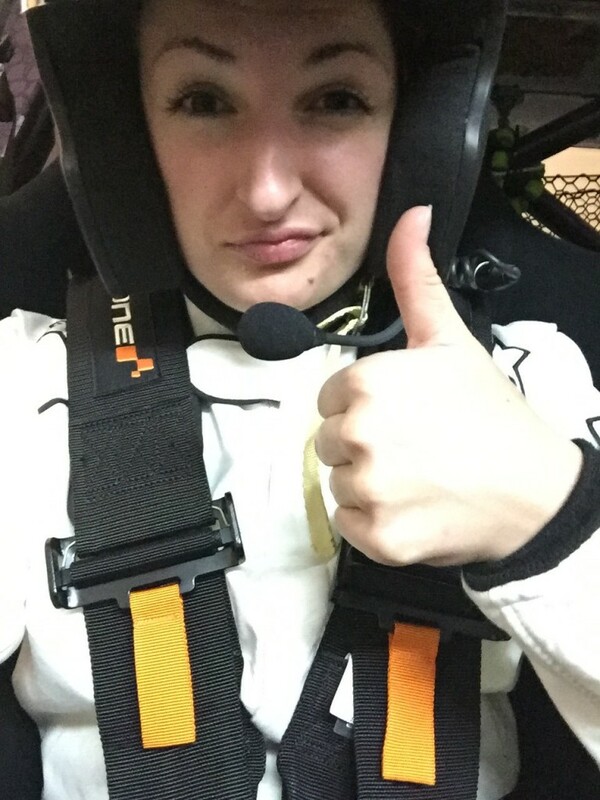 Life outside of rallying has the pair pushing pause on their competition plans for 2018, but Cliche is back to help with LHFR, reprising her role as sponsorship coordinator, and plans to be on hand during the competition in whatever capacity is needed. “I find it is really important to volunteer,” said Cliche. “I knew that there was a possibility Lanark might not happen this year, and I didn’t want that to happen. SO I got involved again to help make the event a success. Looking back, Cliche sees how she might have done things differently on her entry into the sport. 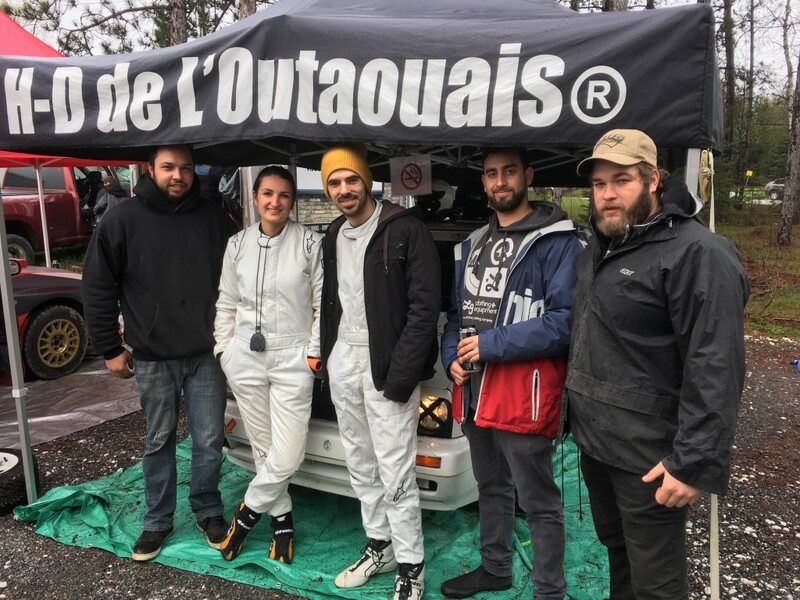 The Lanark Highlands Forest Rally is the next round of the Ontario Performance Rally Championship, and takes place May 5, 2018, about an hour west of Ottawa.